With the recent buzz of London Fashion Week I was inspired to share some portraits I made earlier this year. Faye Dinsmore, one of my neighbours from back home in Donegal, in the Irish countryside, dropped by for lunch one day last spring. She had flown over for modelling work, from Dublin, where she is based, after graduating there in French and Classics at Trinity College. Faye is on the books of agencies in London, Paris and Barcelona and is looked after by Distinct Model Management in Dublin. She also recently landed a contract at Ford Models agency in New York which has seen the likes of Elle Macpherson and David Gandy on it’s books. Faye was interested to hear about my photojournalism travel blogging and I was in turn interested to hear about her life adventures. I wanted to take Faye somewhere authentic and chose one of my favourite cultural delights in Victoria, Costa Coffee Boutique. Far from the regular Costa Coffee chain outlet, when you step inside this cafe you genuinely feel as if you’ve been transported to 1980’s Italy with beautiful ornate tiling and a glass topped bar where you can view a selection of coffee beans whilst you sip on that perfect brew! Fitting that it is, the owner and his wife emigrated to London in the 1980’s and have never looked back since. 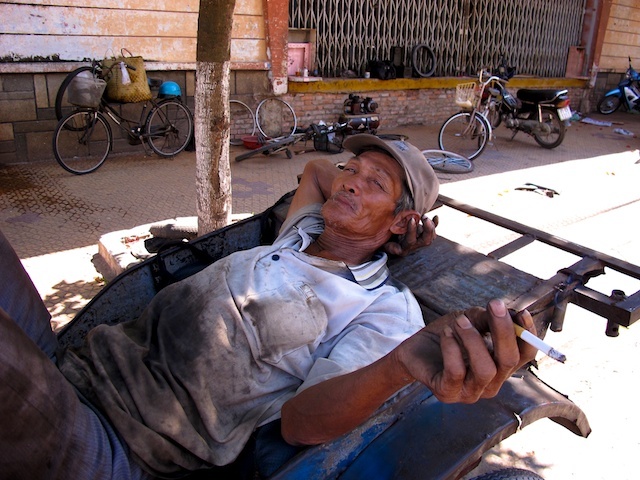 The owner’s manner is so charming, as he slowly potters around making your coffee and food with a relaxed latin style. In central London this is a real treat, considering most people move at breakneck speed! The original retro decor matches the ambience and flavour of this wonderful little haven of culture! It’s fair to say we had a grand ole time of it chatting at a rate of ninety whilst soaking in the sunshine on that crisp cool bright day. We’d both been in touch with each other’s lives from Facebook but there’s no substitute for conversing in person. True Irish craic! A term that I explained to the world last March on Humans of New York or HONY as it’s often referred to. More on that in another blog post soon. Coming from our respective family farms and ending up in the creative urban environment, Faye living in Dublin and me in London, through our creativity we have travelled the world, but our hearts will always have a place in Donegal. Both passionate about our homeland, we chatted about Ireland’s development over the past few decades. Most interestingly we’ve seen it evolve into the tech capital of Europe, with numerous international IT companies basing their European headquarters in Dublin, including Google, Facebook, Paypal, Microsoft, Yahoo, eBay, LinkedIn, AOL and Twitter. Apple have their European HQ in Cork. The existence and rapid growth of this industry has been one of Ireland’s major economic saving graces. Faye’s equally talented entrepreneurial fiance, Wicklow-born Paddy Cosgrave has brilliantly promoted Ireland through international networking. He is the man behind Europe’s top tech event Web Summit which brings over 20,000 of the international IT community to Dublin for a three day event. He also runs a more curated event for 200 guests called F.ounders, which brings the founders of major tech companies to an exclusive event which runs alongside the Summit. A lot was said in one lunch hour but of course we’re Irish so rapid conversation really wasn’t an issue for us. Faye and I are also both major fans of Irish craft especially Donegal tweed and woollen products. It’s refreshing that current fashion favors them considering the 70’s folk wear which has made a major return to the scene in the last few years alongside folk music. The international renowned Magee business is based only a few miles from our families home now run by Paddy Temple, who I photographed last summer at the Royal Highland Show in Edinburgh. On a recent trip home I visited Foxford Wollen Mills in Mayo, which has a fascinating history, started by a nun during famine times to help support the community. No matter how far we go from home it’s good to know that just like our old Italian friend, we will always value and celebrate the traditional roots we come from. In a world of increasing consumerism and fast fashion I would encourage you to buy local products where possible. Most importantly buy good quality which will last and always recycle the clothes you no longer need as someone else will be glad to have them. As a child on the farm in 1980’s Ireland which was then a developing country, I certainly got excited when my older family members handed me down the clothes they grew out of…think local, think quality and think sustainability! I made a few quick portraits of Faye at Chelsea College of Arts, coincidentally home of UAL’s TED (Textiles Environment Design)…experts and industry leaders in sustainable textile design.The first image was taken inside in the magical space that is the Old College Library. The building was previously the Royal Medical College built at the turn of the last century and opened in 1907. Considering Faye is usually seen on the cover of the Italian Vogue, Cosmopolitan and the likes it was really nice to make these natural portraits and see her pure Donegal beauty radiating on that crisp spring day. Later in summer the press reported that Faye and Paddy are so busy they hardly have time to make their wedding plans. Isn’t it great to see two such beacons of nouveau Ireland light shining out of the economy. I’m glad we got to catch up that day and who knows where in the world we’ll next cross paths! Summer 2014 has been another long hot one, much to the joy of myself and many others here in London. There’s hardly been a moment to take a breath and of course this means I have been lucky enough to meet more wonderful people and create lots of interesting portraits, which you will get to experience in the coming weeks. 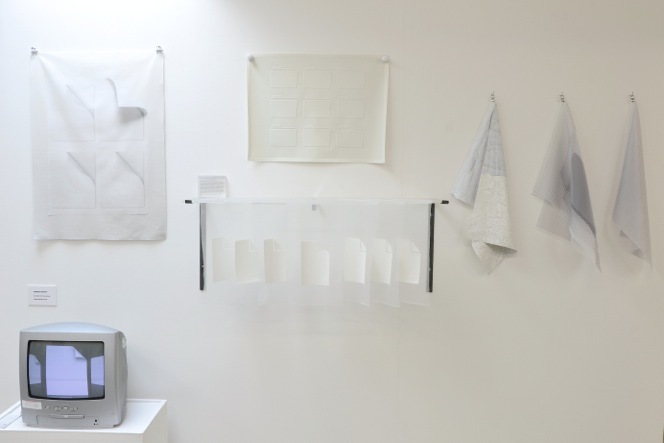 A major highlight of the start of the season was the Chelsea College of Arts undergraduate show, which produced a myriad of talent in fine art, interior and spatial design, graphic design communication and textile design. Much of the final year students’ work really captivated me and one in particular which stood out was textile designer Honami Nishii. In her graduate collection Honami printed computer files as textile reliefs. She was inspired by how digital technology is influenced by our lives. Data is a material with very special qualities: it is flexible, it can not age, and we can output it anytime. Using digital icons as print patterns, she imagined what materiality these intangible elements have. 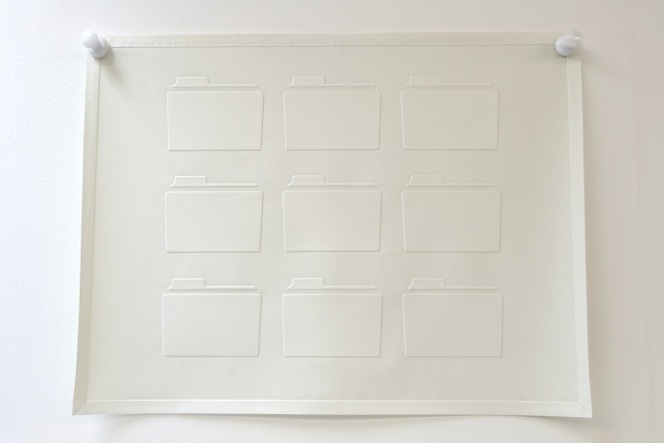 Her Untitled Folders piece stopped me in my tracks and I instantly wanted to know more about it. I also thought of the thousands of portraits I have in my own folders and how they hide away so easily behind these small blue files on my Apple Mac. Honami, originally from Japan came to London five years ago and has been engrossed in creative learning since she first stepped off the plane. 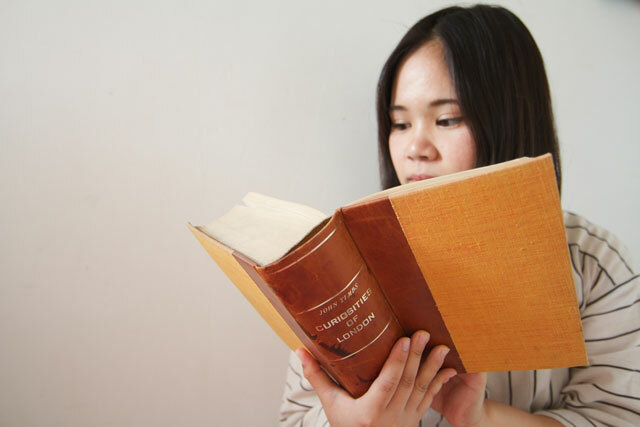 Spending a number of months enlightening herself travelling in Europe before her studies, it’s obvious to me that Honami’s creativity has really blossomed during her time here and at Chelsea, part of the University of the Arts London. Now she is in her last few months in Europe as if sandwiched in time around her studies. These in and out periods act as a playful and informative time which prepares one for the next step in life. As Honami will return to Japan soon she has been feeling free in London, having all sorts of magical adventures including house-sitting for friends in Crystal Palace. I went to explore the area for the first time as I’d heard lots of good reports about the neighbourhood and wanted to interview and photograph Honami in her temporary home. As always my epicurean streak came out and I googled the best places for Sunday brunch. The Blackbird Bakery came up tops, so we arranged to start our conversation there…whilst feasting our eyes and our bellies on their homemade delights. Satisfied and as full as frogs we literally rolled down the hill and Honami took me to the wonderful Haynes Lane Market where we enjoyed rummaging through antiques including a vintage gramophone which linked nicely to our progression into the digital age. We headed down the hill to visit the lovely semi-detached family home that Honami was taking care for a few weeks. I could really see that she was in her element in this beautiful space where her friend, a fellow designer and her author husband used the garage and a garden shed as their work spaces, in a lovely little garden which magically leads into an allotment that looks down over the valley towards Kent. It’s like something out of a novel that likely sits on one of the many bookshelves in this family home. 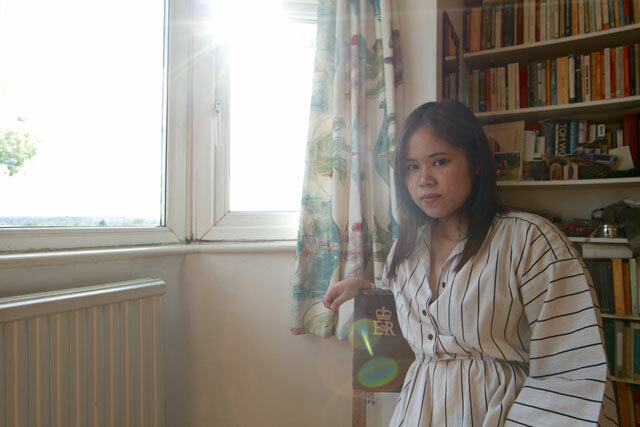 I photographed Honami in her temporary abode…with the essence of England and London all around her. Little signs like the Queens’ ERII insignia embroidered on a chair she sat on, a whole bookshelf dedicated to London in her room. 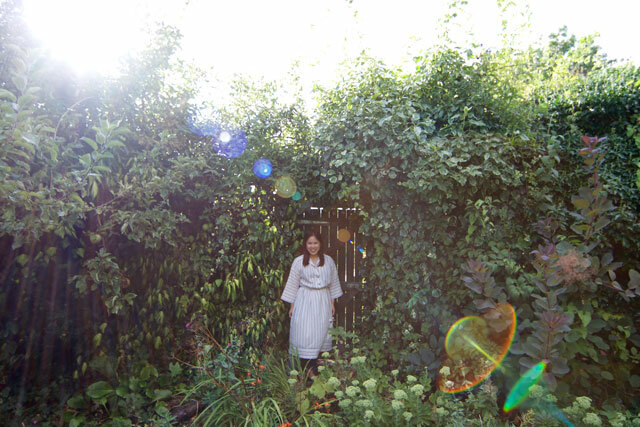 We ended our shoot in the garden where Honami opened the door into the allotment producing a feeling of pure magic. Over Thai food that evening I talked excitedly about my own deep roots surrounded by the cultural and creative jewels of my homeland in Ireland. I recommending strongly that Honami spends at least a week discovering the mystical island I originally came from. I’m sure she will find plenty of inspiration there to take back with her to Japan and a little fairy dust too. Talking of Japan, I was lucky enough to spend a month there myself some time ago and look forward to seeing it again one day for further explorations. Interestingly Honami told me her family name Nishii means West and her mother’s maiden name is Azuma, which means East. So if “nomen est omen” as the old Latin saying goes, then her time here has surely seen that destiny through with East meeting West. In terms of what is next on her life journey in Europe and when she returns to her home country Japan, whatever Honami’s future holds I’m sure it will be a bright one as she’s a stellar creative and a wonderful young lady. Take a look at Honami’s website and enjoy the film she made to show her creative process.